This is a fair question from someone who is relatively new to astrology. Once you’ve already had a natal chart reading, you may think, That’s it. I’ve had that experience, and now I know what my chart says about me. Checking it off the bucket list! Here’s what you should know: your chart is always interacting with the rest of the sky. These interactions between celestial bodies in real time and sensitive points in your natal chart are commonly referred to in astrology as transits. But transits aren’t even the only signifiers of change that we can look at. Different elements of your natal chart come to the forefront at different points in your life. There are a number of techniques that astrologers can use to explore what’s happening in your life in the present and future that might give you a better understanding of the current moment. So while you may be fine with having one astrologer’s interpretation of your natal chart for the rest of your life (are you though? ), you can get multiple chart readings over the years and receive different information every time. Let’s do a quick example of how the transits can give you different readings over time. TL;DR? Skip to the end for a summary. Here’s AOC’s natal chart, based on birth information from astro.com. This is what the sky looked like at the moment she was born. This little map is never going to change, though different parts of her chart will be activated at different times in her life, and her expression of these chart placements will also evolve as she ages. She’s a Libra with Sagittarius rising and moon in Aries. She approaches the world with exuberance, a zest for learning, and a whole lot of passion for participating in her community. That independent Aries moon is conjunct asteroid Pallas Athena, goddess of just war and strategy, in conversation with her diplomatic Mercury in Libra. I would say she’s a creative strategist and a fierce opponent, and though it may be a challenge sometimes, she can balance that warrior queen side with a big dose of her all-important political charm. There’s a lot more to talk about in this chart, but that would be the start of a natal chart interpretation from me. Now let’s say she had a consultation in March of 2018. This is how the sky at that time was playing off of her natal chart. The most important transit to note for 2018 would have been her Saturn Return. She was right in the middle of this major rite of passage while she was campaigning for her seat in Congress, and of course we know she was the youngest woman ever to be elected, at 29. Her Saturn Return was all about investing in what she valued, including herself. She may have struggled with some self-doubt while she was running, but she did the hard work to maintain her confidence and win anyway, and we also know that her grassroots campaign reflected her values. 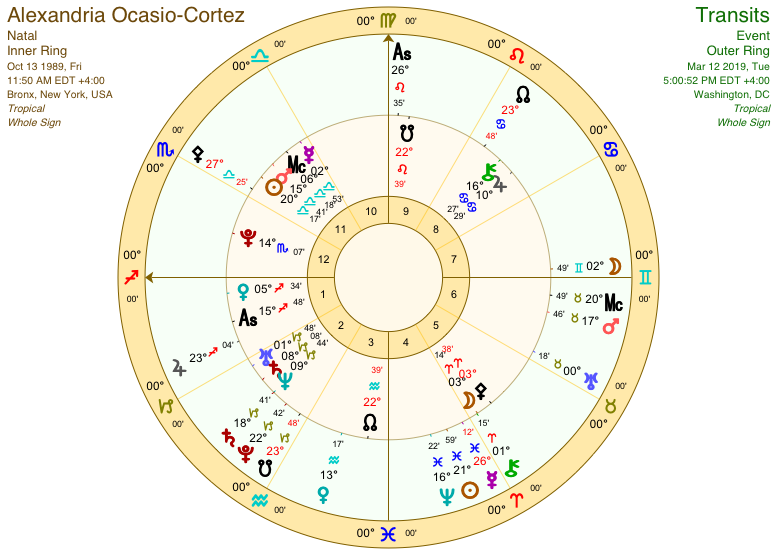 That’s a brief example of what AOC’s consultation might have centered on in March 2018, because that’s how the planets were affecting her natal chart at the time. What would we talk about if she booked another consultation now? She’s still doing her Saturn return for the next couple of years, but she’s past the hardest part now. Now, Jupiter is in her first house, amping her image and offering her opportunities, as well as a fair amount of luck. But two major events just shook up her chart: Chiron moved into her fifth house to meet her moon in Aries, and Uranus just entered her sixth house. That Chiron transit is going to be painful at first. She might encounter events that remind her of more painful parts of her childhood and/or feel the sting of battles she’s currently fighting. What she feels and how she heals will affect how she communicates publicly. This Chiron transit that plays out in her chart over the next two years will be a significant piece of her role in changing public values. I think she could play a big part in the collective healing of toxic masculinity. Meanwhile, transiting Uranus makes a trine to her natal Uranus, bringing her unusual values into her daily life. As the sixth is the house of service and she is now a public servant, she’s in an innovative period. Work will be busy, no doubt, but exciting, too, and she’s working in service of some collective Uranus-in-Taurus values: revolutionizing our attitudes to the earth, money, and resources. None of that was happening last March! Of course, all of my consultations extend into the future (at least a year, sometimes more, depending on the length of the situation in question.) So in my 2018 consultations with clients, I made sure to briefly talk about Chiron in Aries and Uranus in Taurus, because those are big 7-8 year transits. But when we only have 60-75 minutes to dive deep into your life, I target the major events of the moment. There’s always more to talk about, so there’s always a reason to book another consultation! The only constant in life is change. There are different types of consultations for different situations. You might just want to pop back in for a mini reading to ask a few questions, or you might decide to book a solar return reading on your birthday to get another layer of information about your preoccupations, gifts, and challenges in the year ahead. Not only can you get value out of consulting with me more than once, but getting consultations from different astrologers can give you different perspectives on your birth chart and the transits in question. Books come out in different translations from various translators, and people tend to have favorite translations, because every translator gives the same book a different flavor. It’s the same story, but the way it’s told changes. In the same way, every astrologer has their own voice when interpreting charts. The astrological symbols have basically the same meanings, but there are so many different ways to translate them into language and metaphor for you. In fact, you could go even deeper and get readings from astrologers of different astrological schools. I’m an Evolutionary astrologer. My chart reading philosophy and technique is different from that of a traditional Hellenistic astrologer, a Medieval astrologer, a Vedic astrologer, or a psychological astrologer. You never have to stop getting consultations! If you like astrology, there’s always more to learn. So again, why would you book more than one astrology reading? To get some perspective on what’s happening in your life (approximately every six months to one year), because different parts of your chart are activated at different times. To get different types of readings for specific purposes. To hear more than one astrologer’s interpretation of your natal chart. To experience an astrological consultation from an astrologer of another school. This is the first post in a series I’ll be doing on my astrology practice and personal consultations. Do you have a general question about those topics (not about your individual chart)? Go ahead and ask! I might answer it in a future post. You read your horoscope every week. You may even study the horoscopes for both your sun sign and your rising sign. On Sundays, you read last week’s horoscope again and reflect on how closely the themes matched your actual life. Crazy, right? Astrology is uncanny like that. Every person with Sagittarius rising has an individual personality and life situation, and at the same time every Sagittarius rising is having a kind of “rebirth” moment right now, after some important endings. Then again, maybe the horoscope you read this week doesn’t resonate with you. Maybe you’re a Sagittarius rising, and your horoscope looks rosy, but you feel like everything is still extremely hard—because what you don’t know is that you have natal Saturn in Capricorn, so you’re doing your Saturn return. Maybe you have the sun in Sagittarius, but Sagittarius horoscopes never seem to fit you—because what you don’t know is that you have Taurus rising and you would be better off reading horoscopes for Taurus. What am I talking about? I’m talking about all of the other things that make up your personal natal chart. A horoscope only deals with one sign at a time – which means that even if your horoscope feels like it’s spot on, you’re still missing out on the thousands of variables involved in a personal astrological consultation. Horoscopes have value. They predict the general astrological weather for the week ahead. They can inspire you, guide you, and give you some insight to focus on throughout the week. But personal consultations have more value than weekly horoscopes. Because a personal consultation is a customized horoscope that is all about you and your specific chart. 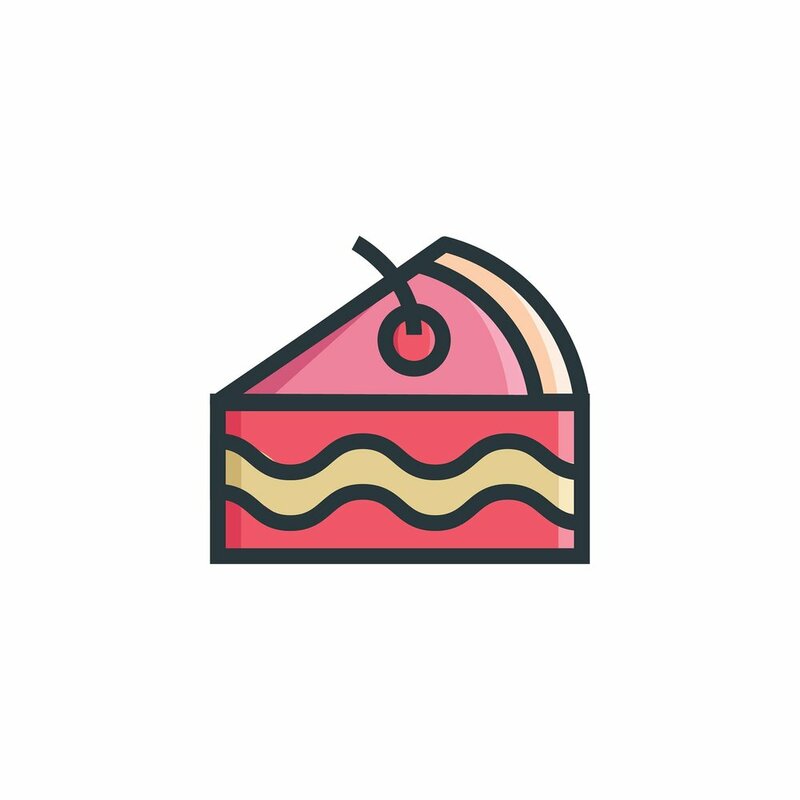 Here’s another way to think about it: a horoscope is like a slice of pie. Yummy. But a personal consultation is a whole pie that you get to take home with you. Yummier. So what can a personal consultation tell you that a horoscope can’t? 1. A personal consultation gives you a much more complete, complex portrait of your personality and life. When I do personal consultations, I am reading your natal chart, based on your date, time, and place of birth. Here’s what that looks like. Everyone has one of these, including you. Everyone’s chart is different (yes, even twins have slight differences between their charts). She also has Sagittarius rising (with Black Moon Lilith on the ascendant), Moon in Gemini, and Mercury on the Midheaven, at the very top of her chart. I mean, just look at all the rest of the stuff in her chart up there, aside from the sun. It’s full of stuff and things. If JLaw came in for a personal consultation, I wouldn’t use too much astrological jargon like “midheaven.” But based on this chart, we would talk about her natural enthusiasm, her role as a feminist and subversive woman, her unquenchable curiosity, the earthiness that keeps her grounded, and her secret, buried mother wound. That’s just a small sample of what we could talk about based on this chart. You have your own personal, natal chart. 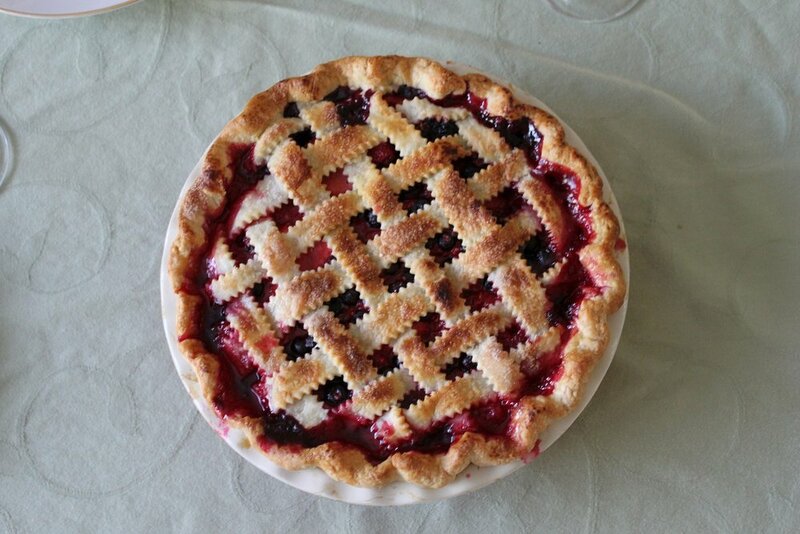 Within your personal pie, you have a lifetime of stories about you. Not just stories about what it means that you’re a Leo or a Pisces. Not just cookbook interpretations that you could read online like “Moon square Mercury equals X.” Stories about you, as a whole individual, and the rich, complex flavors of your life. 2. A personal consultation uses astrological techniques to look at your specific history and provide context for both the future and the present. Before a natal chart consultation with a new client (what I call The Story of You), I use an astrological technique called solar arcs to look at the years that have led that client to my door. Certain time periods stand out, and sometimes those time periods have to do with a cycle that is coming around again. The most significant moments in your life are written in the patterns of the chart. For example, I can see from JLaw’s solar arcs that starting in 2006, and especially in 2009, when solar arc Pluto met her ascendant, she was undergoing a tremendous transformation that impacted her entire life. Her Wikipedia bio shows that she began acting with a minor role in the TV movie Company Town in 2006, and had quite a few roles before she had her breakthrough with Winter’s Bone, which premiered in January 2010 (meaning she probably filmed it in 2009). This would be a useful piece of information to reference later when we talk about the upcoming year, in which Jupiter is transiting the same part of her chart. Pluto and Jupiter are two different planets interacting with her chart in different ways and at different times, but in the same place – indicating change, power, possible wealth, and a fair amount of attention for JLaw. 3. A personal consultation uses astrological techniques to identify important themes for your life right now and pinpoint important upcoming dates. Your personal natal chart isn’t a static portrait of you. You’re always changing, and in a way so is your chart, as the ever-changing sky interacts with important points and planets from the day of your birth. When I look at the current transits to JLaw’s chart (above), I see that Jupiter is in her first house, helping her to expand her life, take risks, and remove obstacles. But I can also see that this is not an altogether rosy time for her, because Ruler of the Underworld Pluto is transiting Stern Saturn (retrograde) in her second house, bringing her down to her personal underworld to take a cold, hard look at her feelings of worthiness. She’s also doing her first Saturn Return, which means she’ll be tested for the first time as a true adult. Is she living her truest values? Is she building an inner sense of worthiness, or does she look outside of herself for her feelings of self-worth (to money, body image, or other people’s opinions)? Speaking of money, how is she handling it? Given those transits, and the 2018 - 2020 Cancer-Capricorn eclipse cycle that will emphasize these even more, I would talk with this client about values, worth, body image, money stories, and the axis of security and freedom. I would ask her to tell me what comes up for her around these themes, and then we could talk about how it might play out this time. If she wanted me to, I could provide some suggestions for how best to work with this particular Saturn Return. I could also provide her with the specific dates when transiting Saturn will meet her natal Saturn: March 31st and May 29th, 2019. She could mark these dates in a calendar for future reference and pay attention to what happens at those times. She wouldn’t get any of that just from reading her horoscope. A personal chart consultation includes customized predictions. And her chart shows me a lot more that we could talk about, too, given enough time. I’ll get into more about each type of consultation in some future posts. For now, that sums up some of the most important things a consultation can do for you that a horoscope can’t. So are you ready to go beyond horoscopes and get a consultation based on your whole natal chart? Book a Story of You Reading here! I’m now expanding my astrological consultation services into coaching! In the past 2 1/2 years as a professional consulting astrologer, I’ve loved meeting with people one-on-one, having deep discussions about their lives. I’ve loved seeing people change and grow. And I’ve found that I want to do more work with people than the astrological consultation format usually allows for. Typically, a client might have a chart reading or follow-up consultation once every few months at most. I didn’t have a useful format that would allow people to work with me more often. So I’ve decided to get my professional coaching certification and expand my services to life coaching. Through Rebel Coaching, I will be able to guide clients as they travel the roads of their transits, helping people to transition from not-knowing to clarity and deep self-knowledge. If you’re in the midst of a long-term transit, like a Saturn Return or a Pluto square, I can coach you through that process of transformation. If you don’t know what I mean by “Saturn Return” or “Pluto square,” but you do know that you feel stuck on your path, coaching might be for you, too. You used to feel passionate and inspired in your activism, art, or work, but lately you’re feeling burned out. You’re at a crossroads, making an important life decision, and you’re not sure which way to go. You’re stuck in fear. You think you know what you want, but the “what ifs” keep you from acting on it. You want a more fulfilling personal life, relationship, social scene, or spiritual life, but you don’t know how to create this for yourself. It just feels like something is missing, and you’re not sure what that ‘something’ is. My other services aren’t going anywhere. You can still work with me for one astrology reading at a time, just like we have been! Coaching is an expansion of my services for clients who want to do more intensive work through the lens of astrology. Curious? Learn more about my coaching services and request a free discovery call. I’m excited to share this new offering with you!